Case of 12 - 1 lb. Jars. 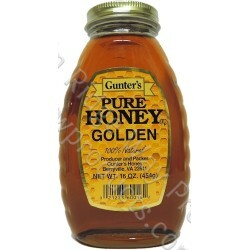 Gunter's golden honey is a blend of 100% honey varietals giving a rich taste with a medium color. It is honey that Winnie the Pooh would love.